This cooking skill is all about coring an apple, peeling an apple and dicing an apple. Apples are refreshing in many recipes and add great taste. When peeling an apple, hold the apple firmly into one hand and a small sharp knife in the other. Starting at the top of the apple, insert the knife just under the apple’s skin. Slowly twist the apple around in your hand, working around and down the apple until all the skin has been removed. If you are feeling brave, try to peel the apple in one go! When coring an apple, place the peeled apple upright on a board, making sure that it stands quite firm. Using an apple corer, slowly and carefully push the corer through the centre of the apple. Pull the corer back to the top of the apple and you should find that the apple core has been removed and is in the corer. 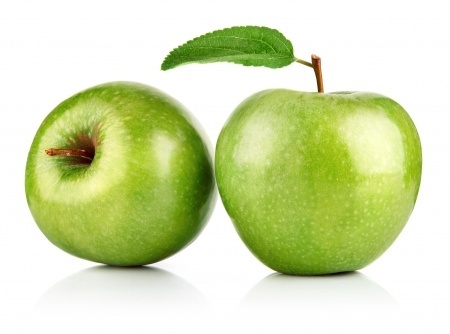 When dicing an apple, cut the apple in half from top to bottom. Place each half flat onto the board and cut across it at the width you require to create half moon type shapes. Cut the shapes into strips lengthways to give matchsticks, and cut across these to form smaller cube shapes (dice).